It's being called Ontario's biggest health system reform in 50 years. But what will the new system actually look like for patients? It's being called Ontario's biggest health system reform in 50 years, since the advent of medicare. But what will it actually look like for patients? The government of Premier Doug Ford is merging 20 agencies, which employ more than 10,000 people, into one big agency in what will be called Ontario Health. While much of the attention so far has been on its creation, the crucial part of the reform will be something called Ontario Health Teams. The teams will also be crucial to whether the restructuring succeeds or fails. What's an Ontario Health Team? Picture a local hospital, a few long-term care facilities, some home-care agencies and perhaps some community health clinics or family doctors all linked together in one grouping or team. 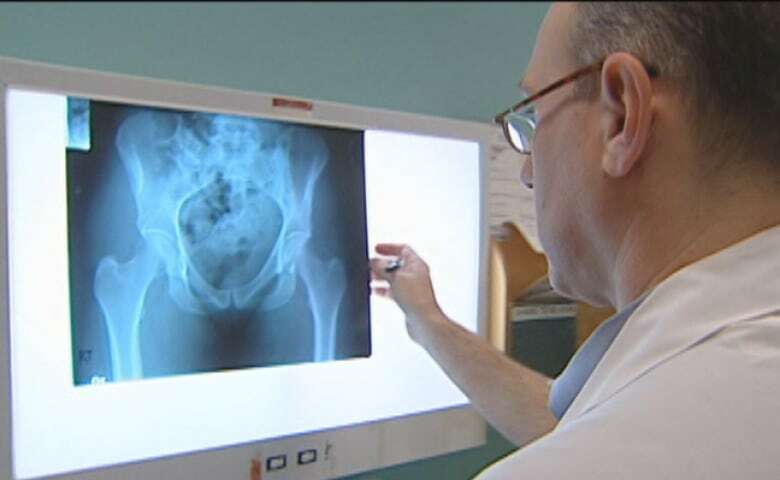 The government says most Ontario Health Teams will form locally, covering a geographic population of no more than 300,000 people. But some teams will be formed to serve a grouping of patients with specific care needs, for instance, mental health. Currently, each health facility gets its own separate budget from the Health Ministry. With the changes, each Ontario Health Team would receive a single pot of funding and a single mandate to provide the range of health services its population needs. The team would jointly agree how to divvy up the funding to provide all those services. How would this fix hallway medicine? 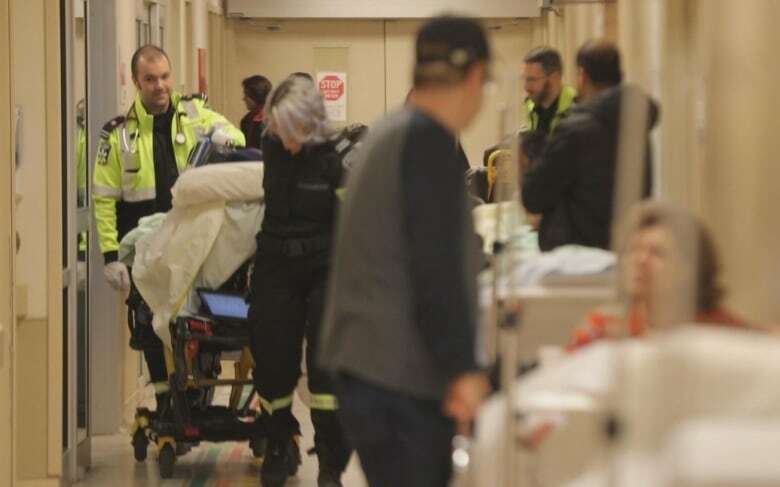 Right now, one out of every six hospital beds in Ontario is occupied by someone who doesn't need acute care. That's about 4,500 patients. This is the big choke point in the health system. And when people who don't need to occupy beds in hospital wards, other people end up being treated in hallways. In large part, this is happening because the care those 4,500 hospital patients do need — a spot in a long-term care home, physical rehab bed or home care — is not available. The theory is: each Ontario Health Team would have an incentive to redistribute its budget to put more into (less expensive) community-based care and long-term care. That would allow patients out of hospital sooner and free up acute-care beds for those who need them. Why hasn't this happened already? It actually has, on a small scale. 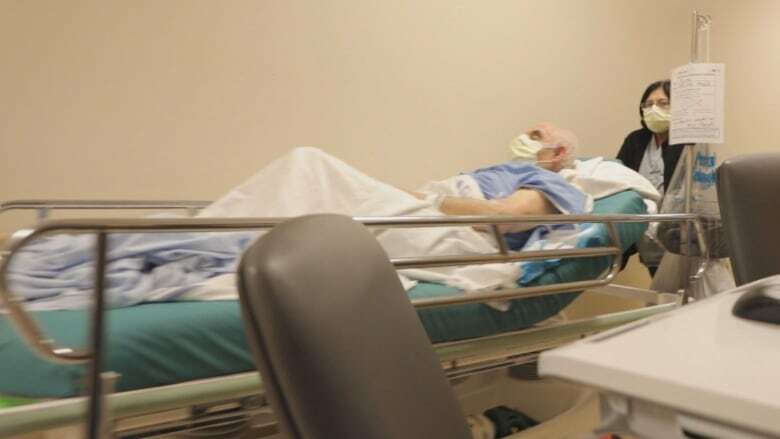 The Wynne government launched pilot projects in something called "bundled care," in essence, mini-teams of a range of health care providers that pool their funding to care for a specific segment of patients in a particular geographic area. For instance, North York General Hospital has teamed up with home-care providers and a few other agencies to provide bundled care for hundreds of patients with chronic obstructive pulmonary disease (COPD) and congestive heart failure. Before the project, the hospital did not even know whether these patients were getting any home care after discharge, and they frequently ended up being readmitted. By getting together and pooling their funding for these patients, the group created a program that followed each patient from initial hospital admission to the provision of home oxygen, with scheduled home visits and a 24/7 support line: all for no additional cost to the system. Not only has the program reduced the frequency of readmissions and overall length of time in hospital, but patients also report an improvement in health, with less shortness of breath and greater ability to walk farther, according to statistics provided by North York General. How will my health care change? The government's goal with this is to make a patient's journey through the health system smoother. Although there is widespread agreement that the quality of care provided in Ontario is top-notch, even people who work in the system admit its different parts often don't communicate well. Tales abound of patients being discharged after surgery without followup home care being arranged, for instance, or of hospitals being unable to access a patient's medical records kept by their family doctor. In theory, having the hospital and the home-care agency and family doctors together on one team would improve that communication. People would still access the health system in the usual ways: with a visit to their family doctor or the emergency room. The steps onward from there would be "seamless," if the government's promises come true. Will it make the system better? That question will only be answered years from now. The government says it already has interest from health-care providers in forming about 30 Ontario Health Teams. But by the time they actually form, and the funding gets pooled and the changes begin to be visible, it will likely take a few years. The revamp would only be judged a success if the pressure on the hospital system is alleviated, those hallway patients are in proper medical wards, waits for long-term care and home care are shortened, and people are satisfied with the overall quality of the health care they're getting. Restructuring something as big as the largest health system in Canada is bound to be complicated. There's a real risk of some patients' needs going unmet in the complicated transition to the new model. Family doctors, who for the most part work independently, may feel the Ontario Health Teams model will be too restrictive and simply won't want to join. The health system is notoriously turf-conscious: given they all want their slice of the pie, different facilities in a team may struggle to agree on how to share their single pot of funding. While the government says the teams will be created voluntarily, the health minister will have the power to force health service providers together. That could be fraught, especially if the public perceives that it is being done merely to cut costs.